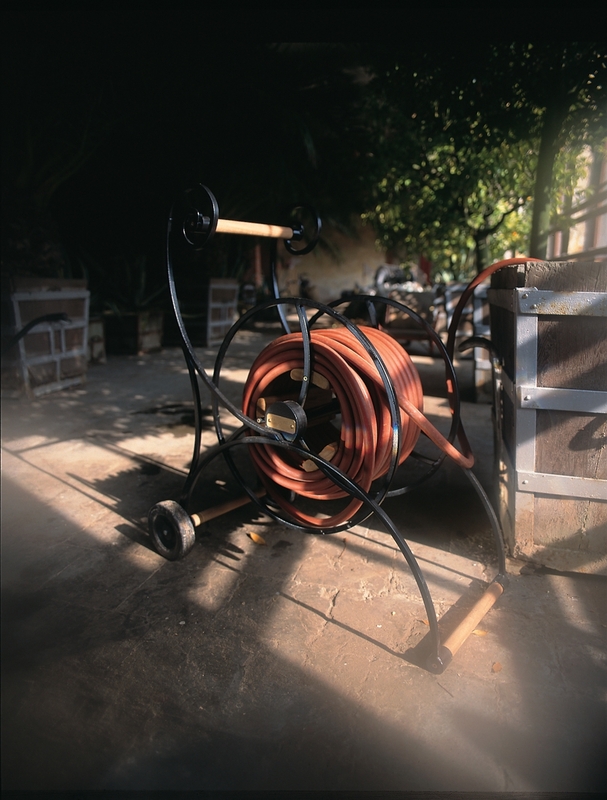 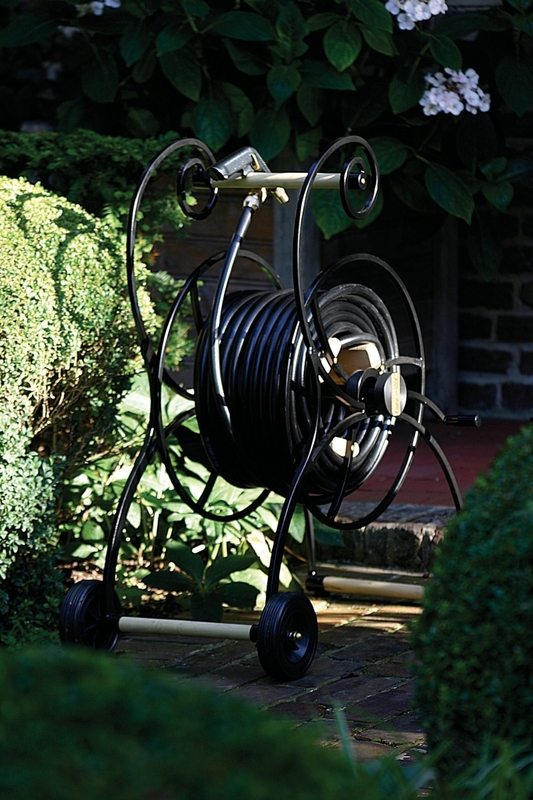 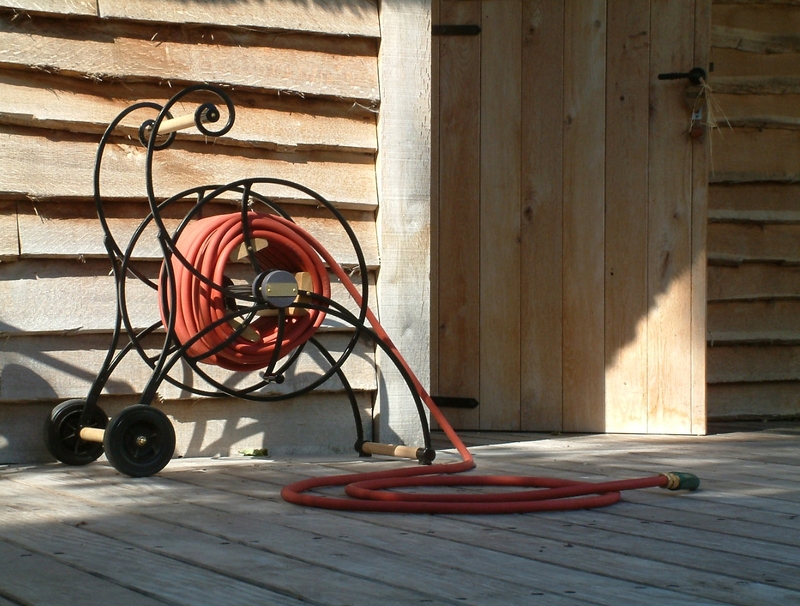 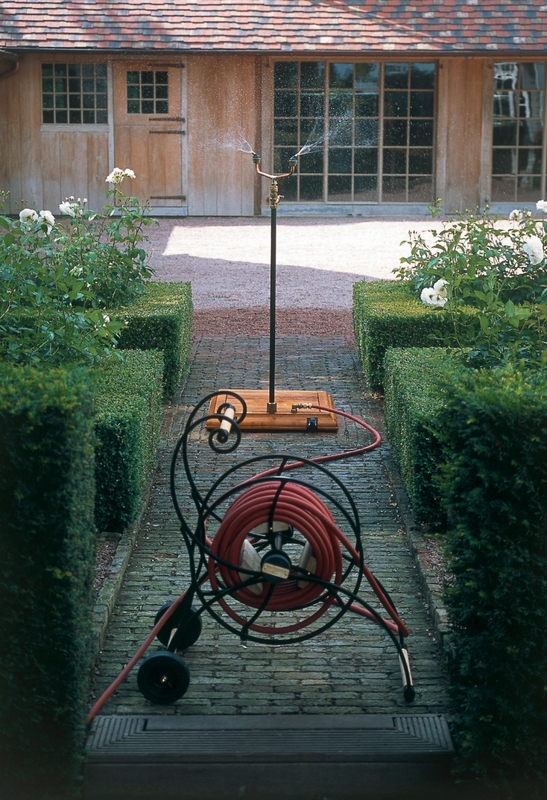 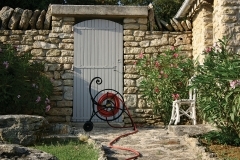 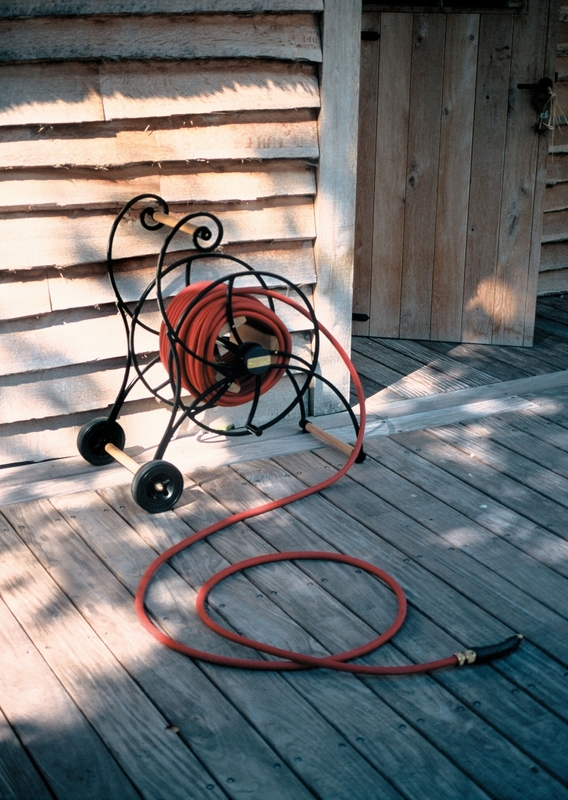 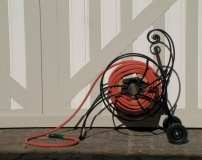 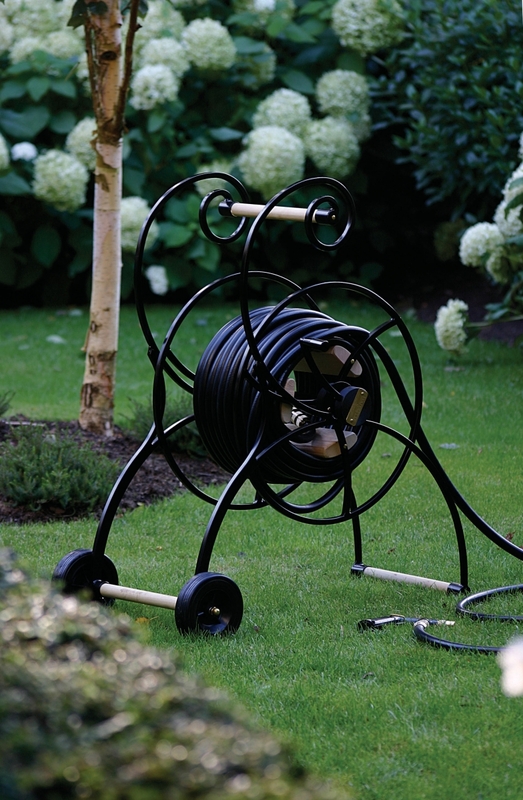 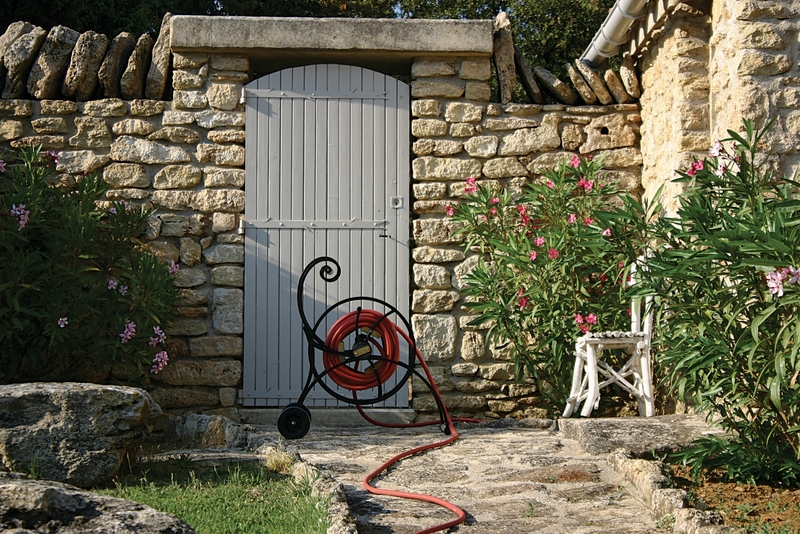 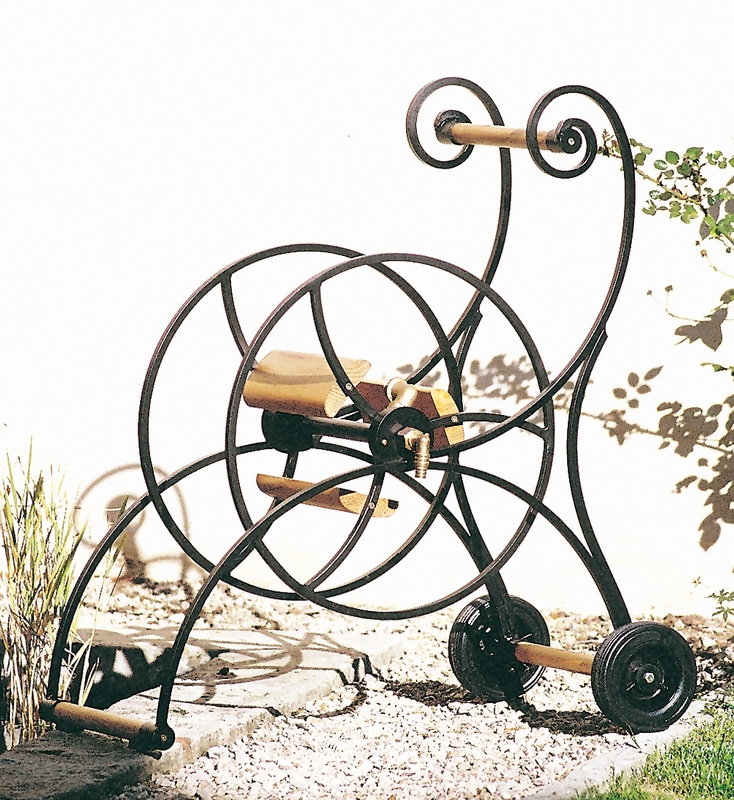 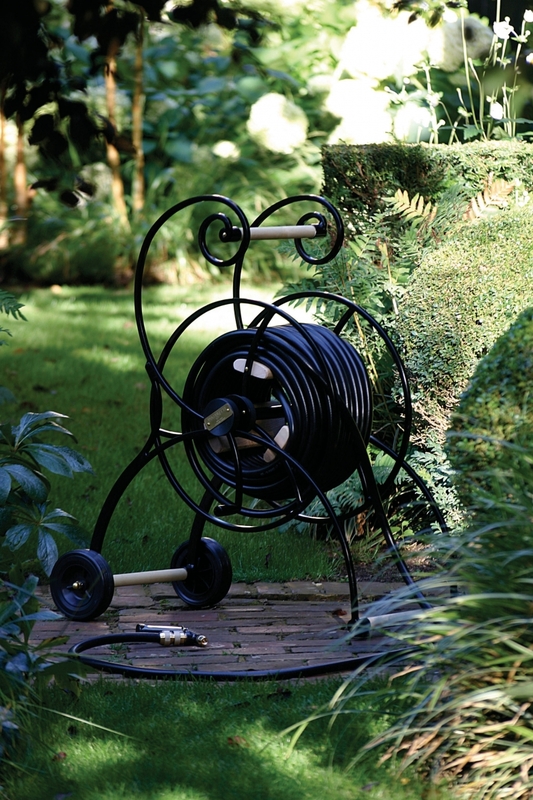 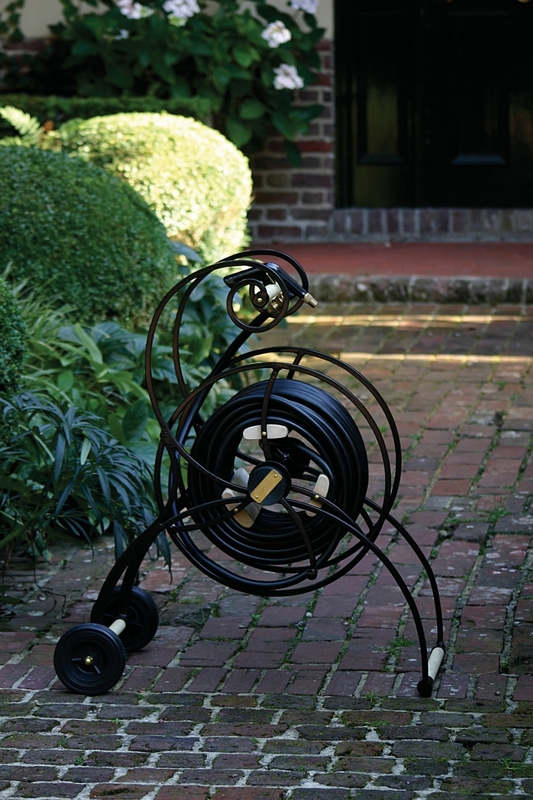 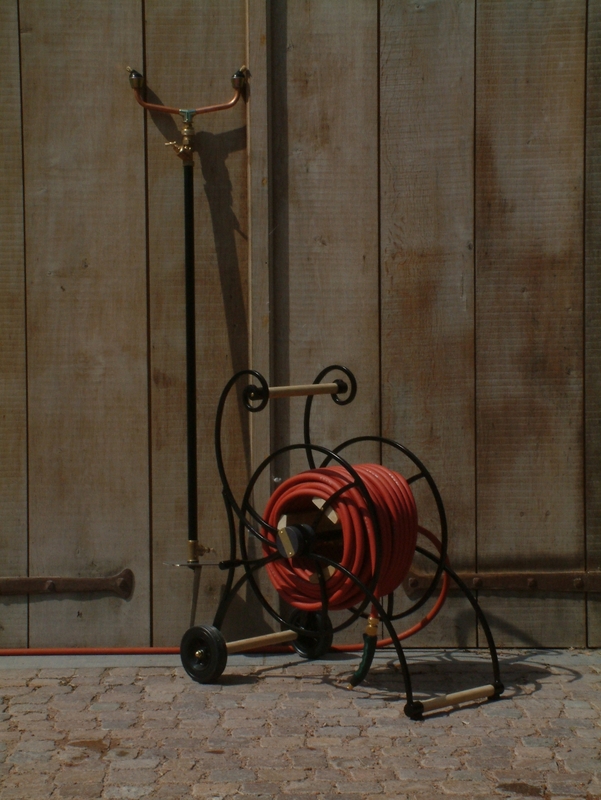 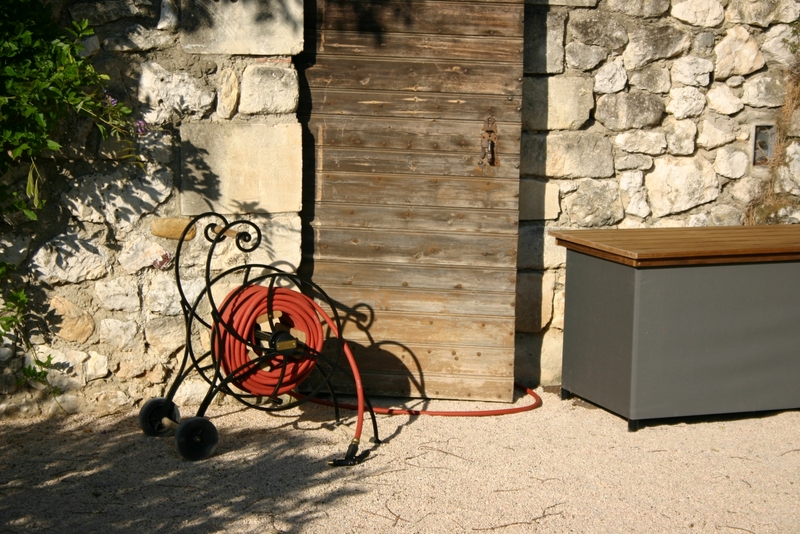 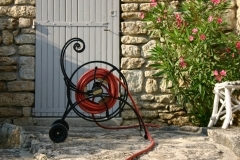 The Waterette is an elegant hose cart with a nostalgic design. 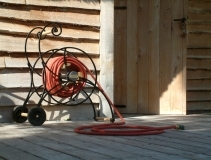 It is made of a galvanized and powder-coated iron frame, wooden parts, brass connectors and nylon bearings and wheels. 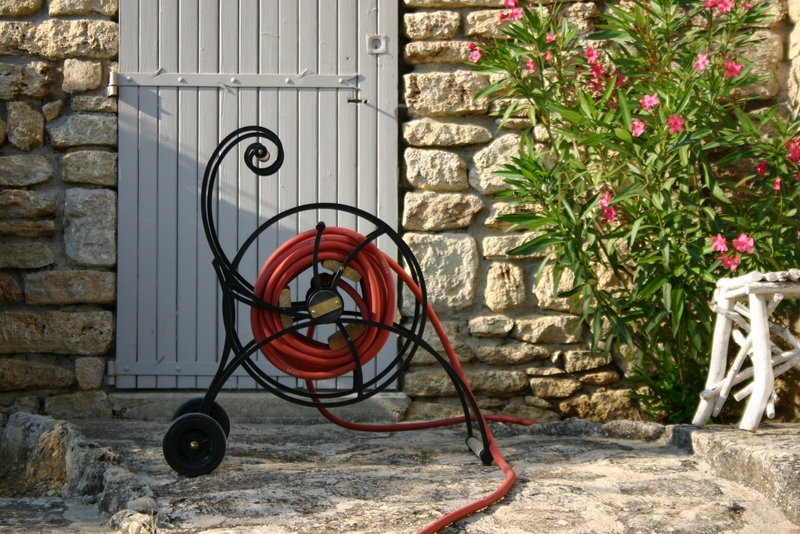 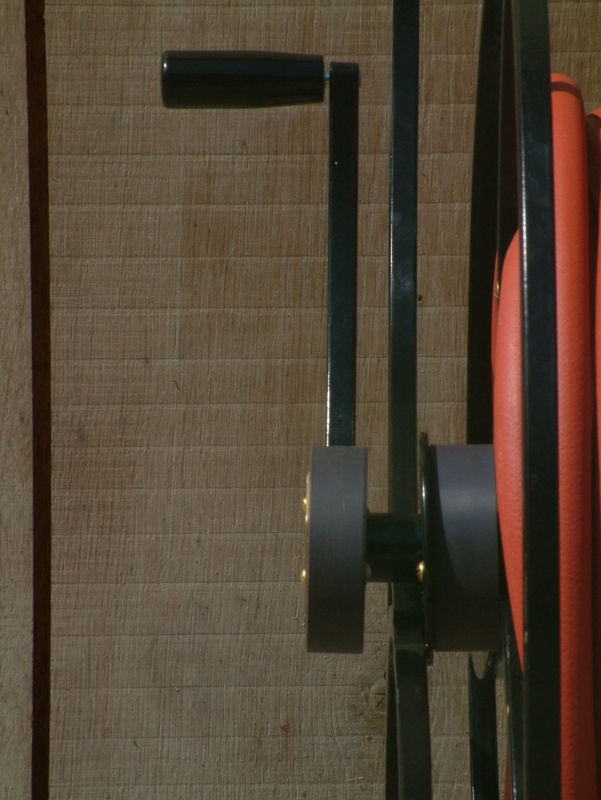 A red-brown or black coloured EPDM rubber hose of 13-20 mm diameter can be mounted, from 40 to maximum 80 meters long. 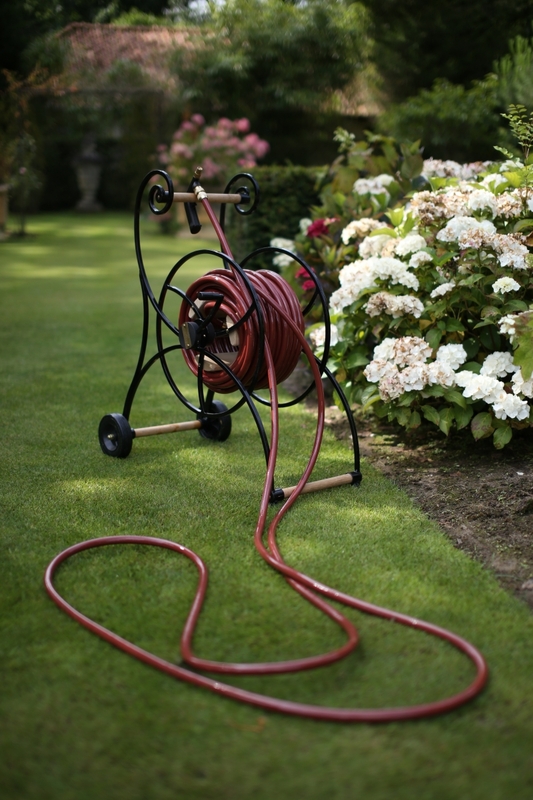 Its long handle makes it easy to roll up long hoses. 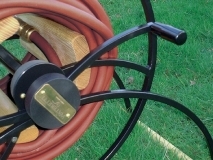 The equipment also includes 5 brass quick-connectors and a spraygun.